More fixes are coming after Fear the Walking Dead failed to stream for some users, but Sling warns of “further issues” until a solution is in place. So much for Sling TV having worked out its growing pains. After the streaming video service buckled under pressure from the series premiere of Fear the Walking Dead, Sling has acknowledged the problems and apologized to affected users. “We’re aware some of you have been experiencing issues with our service,” Sling wrote in a blog post. “Our apologies to those of you who have had interruptions. While TV Sling didn’t explain what went wrong, or tie the issues to a specific event, the problems with streaming Fear the Walking Dead were well-documented by Phillip Swann at TVPredictions. During the premiere, many users complained on Twitter of black screens, error messages, and other glitches. Sling’s customer service Twitter account eventually confirmed the problems, and directed users to watch the premiere on demand instead. Sling TV is a $20 per month service that offers over 20 live cable channels, including AMC, ESPN, CNN, and TNT. Some of those channels offer on-demand video as well, and some include a way to pause, rewind, and watch several days’ worth of past programming. Check out our Sling TV channel guide for more details on the core service and its $5 per month add-on packs. The story behind the story: Unfortunately for Sling subscribers, this is not a one-time occurrence. The service also experienced a high-profile failure during the NCAA Final Four, prompting Sling to deliver a software update that would deal with future spikes in demand. 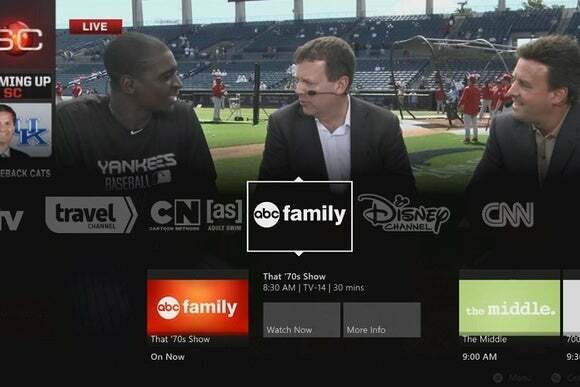 Some Sling users also had problems with the season premiere of Game of Thrones on HBO, and with the mid-season finale of Pretty Little Liars on ABC Family. While these may be isolated cases that don’t affect all users, they add up to a sense that Sling TV isn’t reliable during major events. Maybe this next fix will put Sling’s issues to rest for good, but users have plenty of reasons not to feel confident at this point.